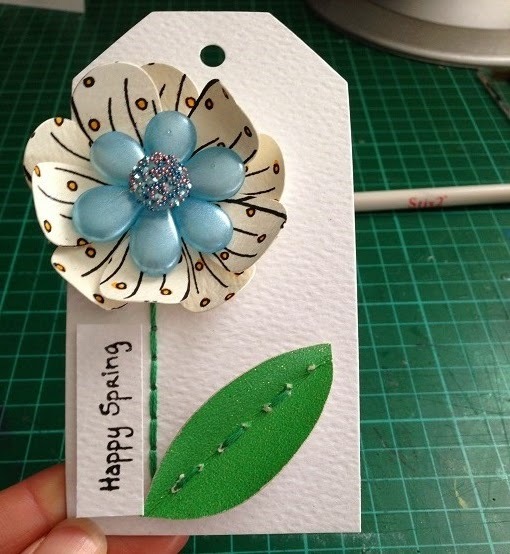 Easter is on its way - Why not attach a "Happy Spring" tag to brighten up any present! 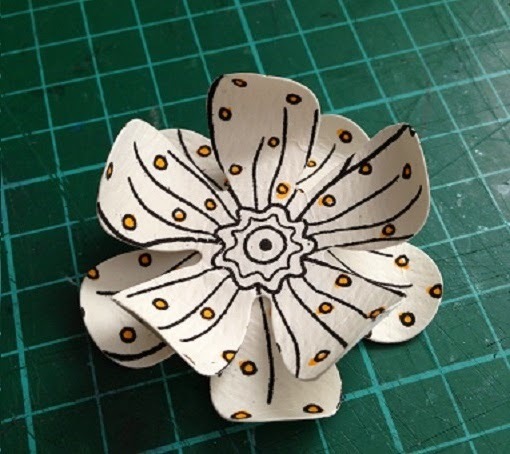 On the non-stick craft sheet, make 6 petals and one additional circular gem for the flower centre, with your hot melt glue gun and glue stick. 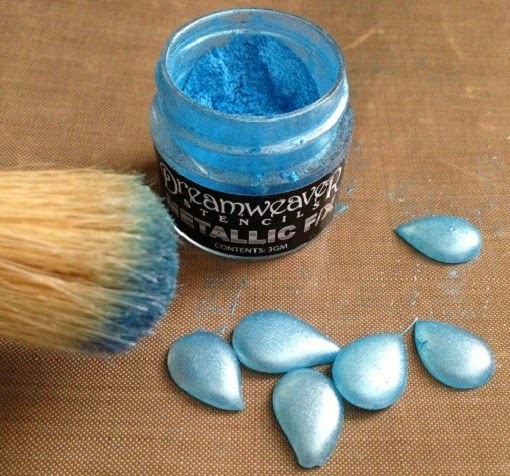 Once these are dry brush over with Dreamweaver powder, the more you ‘buff’ the petals the deeper the colouring will be. For your flower centre sprinkle the micro beads to make this stand out. 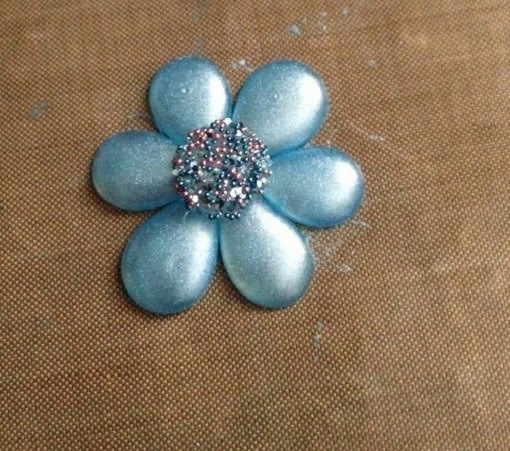 Assemble the flower shape, adding a hot glue blob to secure in place. Once this is dry add the circular gem in the centre of the flower. 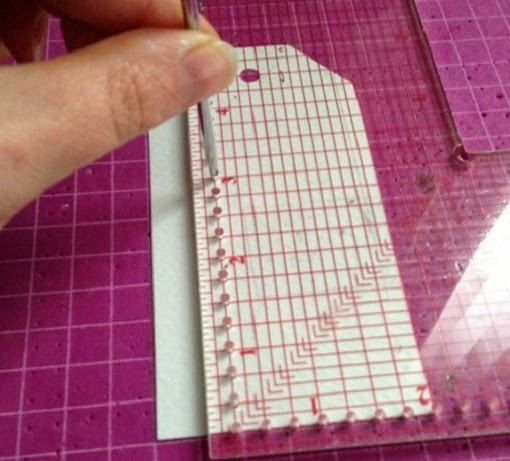 Use the layer perfect to pierce holes for the stem of the flower onto the white tag. Cut a leaf shape from the green stardust card and pierce holes down the centre. 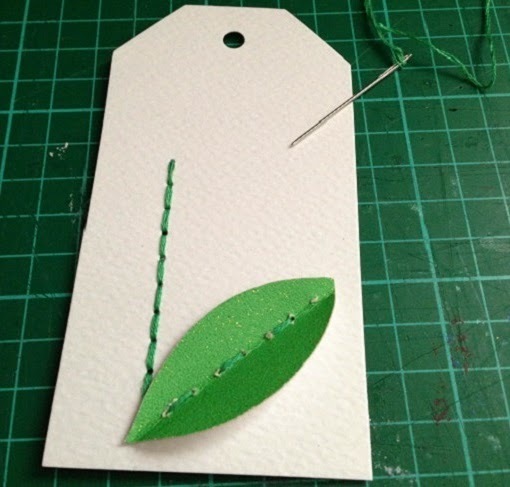 Using the embroidery thread and needle, stitch the stem and the leaf into place on the tag. 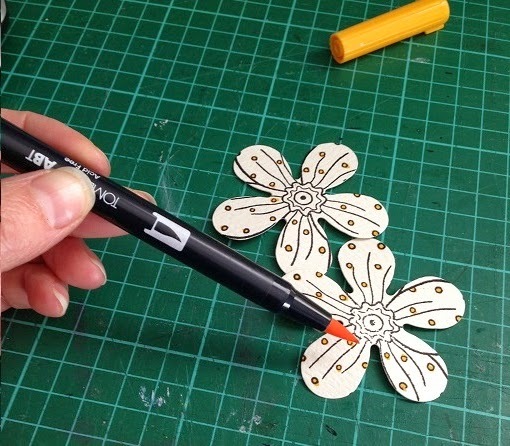 Stamp directly onto the Die Cut flower and colour in sections with the Tombow pen for additional detail. 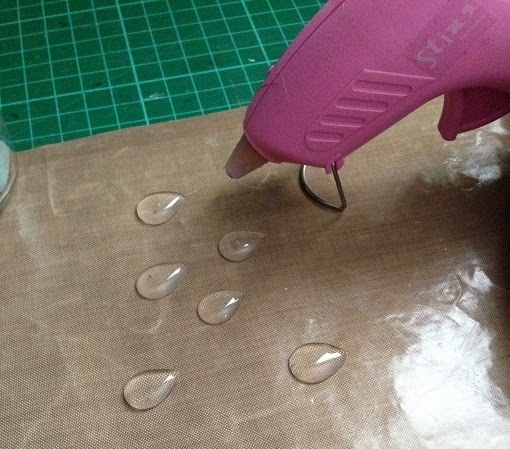 Secure in place with the hot melt glue gun. 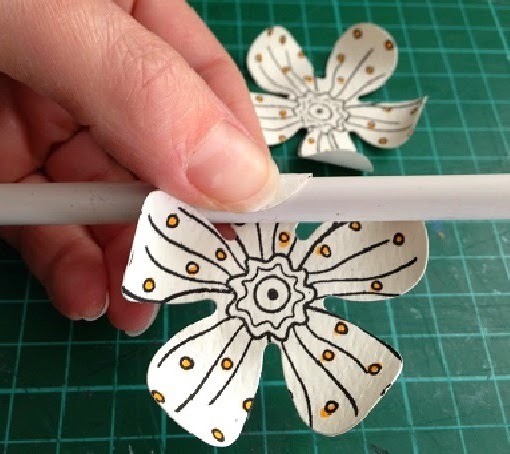 Place the hot glue flower in the centre of the die cut flower and secure onto the tag with the hot glue gun. 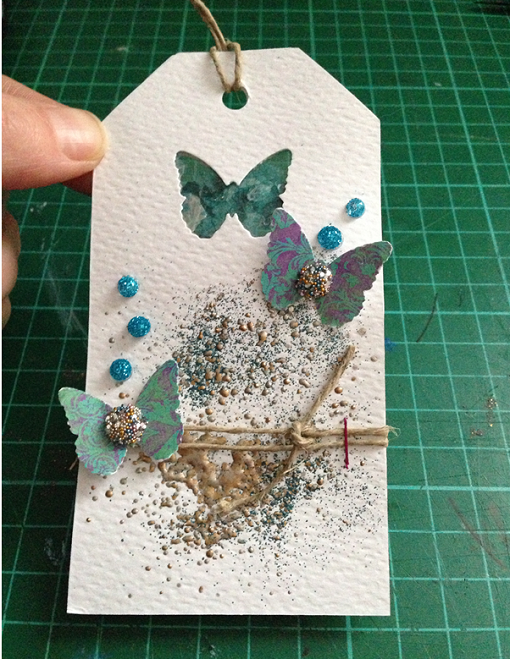 Add a stamped sentiment ‘Happy Spring’. 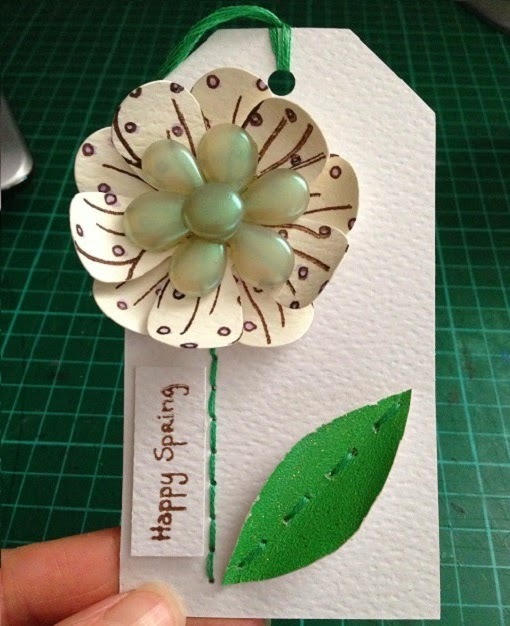 You can create the same card many time with different coloured petals, keeping the centre the same or changing the colours, Even using different Tombow pens or none at all create a different look for this tag. We have three fantastic Demonstration Days and one fabulous event happening this week for you. Hobby Crafts Show at The NEC Birmingham starting this week. Michelle will be on A1 Crafts stand. Their stand number is C11. Demonstrating our fabulous Layer Perfect Tool along with lots of other Stix2 products to make your crafting even more fun and inspiring. Do come and visit us on either Thursday, Friday or Saturday to join Michelle and the A1 Crafts team. Paper 'n' Card in Barnsley. Karen will be joining Dot and her girls for the day showing how to use the fantastic new Stix2 products. Cardwell Nurseries The craft shop in Gourock have Emma joining Pauline & her team demonstration new techniques and sharing her handy tips using our fabulous Stix2 products. Craft Zone in Pontefract, have Kirsty visiting for the day. She will be joining Wendy and her team creating some fantastic new projects, using Stix2 products. 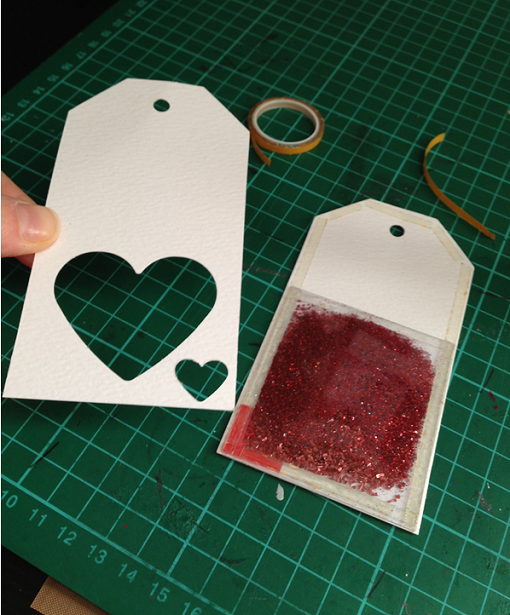 Here is a step by step guide on how to make a gift tag with something a little different. 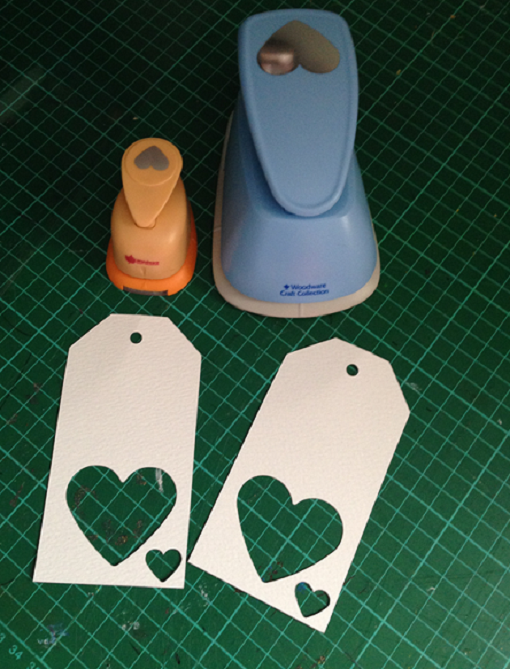 To make the decorative tags, first select your punch and position onto the tag. Punch a corresponding design onto the second tag. This will be the back to your tag (encasing the glitter/acetate pocket). 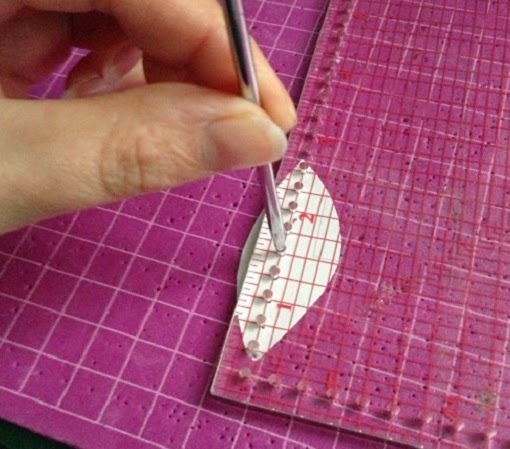 Cut the acetate to size (we used a trimmer), you will need two pieces of equal size, large enough to cover the punched design. Add 4 strips of ultra tape of each edge of one piece of acetate. 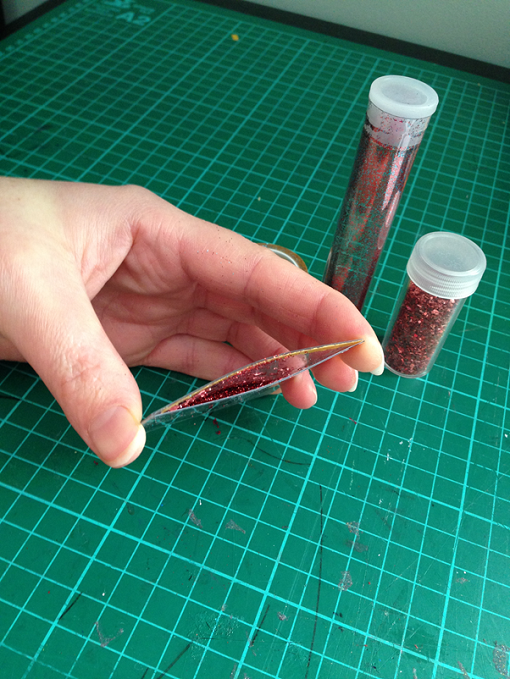 Remove 3 of the backing strips and position the 2nd piece of acetate on top to make your pocket, open and fill with glitter and seal. Put Ultra tape around the edges on the back of one tag and add the now sealed acetate/glitter pocket over the punched put area. Line up the 2nd tag and stick to the back of the first, enveloping the acetate pocket within. We added a small piece of red card over the smaller red heart between these two layers of tag. 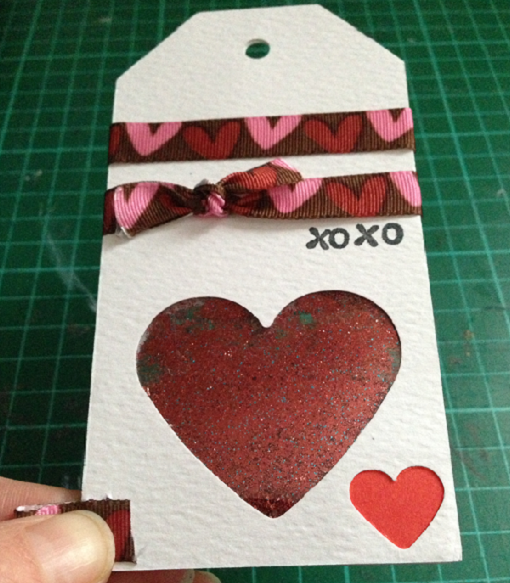 We then decorated the tag with dome co-coordinating ribbon and added a sentiment with small alphabet stamps. You can use this method with many other designs. Here is an example of acetate pocket using a different medium. For this tag we used Mica Flakes and followed the above steps to achieve the result as seen in the picture. We then decorated with butterflies punched from patterned paper, hemp cord, aged teal embossing powder (sprinkled on to the tag and heated from underneath with a heat gun). We then added some gems using the hot glue gun.